Students, interns, work & travel, and au pair participants, as well as volunteers and long-term tourists, all need applicable insurance protection for a stay abroad. Finding the way through the insurance jungle may be challenging sometimes. Which are relevant criteria depending on destination, visa requirements and personal needs? When and how shall insurance cover be taken out? Why is travel health/accident insurance essential in the first place? CareMed’s Antonia Schüttler, an insurance expert, will share her experiences and answer questions on how to be well-prepared for an enjoyable adventure abroad. Antonia Schüttler, international insurance expert for educational travel, gained her first international experience during a gap year in Australia after high school. She studied general management and marketing and has been a part of the CareMed team for almost three years now. 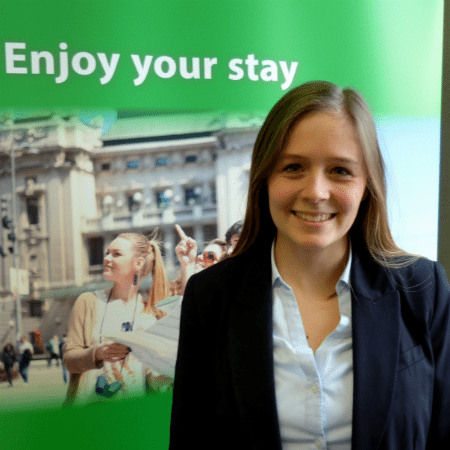 Beyond her customer service and marketing activities in-house and at student fairs, Antonia also shares her knowledge during webinars in English and German regarding which insurance applies to international students and best practices prior to an adventure abroad. She is also author of several advertorials about her work and travel programme in Australia, published in Study Abroad Portugal, the blog of Study World Berlin, absolut karriere and Göttinger Literaturherbst.